What Is a Hosted Virtual Desktop (HVD)? 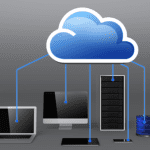 A hosted virtual desktop (HVD), often referred to as a cloud-hosted virtual desktop, is an interface that delivers applications and data that are stored on a cloud provider’s servers instead of the user’s computer or corporate network. Each user accesses a virtual desktop interface, also known as a virtual machine (VM), on the service provider’s servers. This experience is seamless to the end user, appearing as if the data and applications are local. It’s the next phase in IT efficiency and productivity gains. The HVD delivery model is also known as Desktop as a Service (DaaS). It provides many advantages over traditional desktop strategies, especially continuity, flexibility, and agility, which are crucial to today’s IT-driven world. The responsibilities of the service provider are storage, backup, security, and upgrades. The service providers usually offer redundancy, high availability, and other features such as remote replication for data retention and protection. Additionally, employees can access their desktops and applications from anywhere with an Internet connection. By deploying an HVD model, you can manage and distribute your resources easier across multiple users. Keeping the data on the server-side prevents unauthorized access. Deliver the same desktop to multiple devices, allowing for the use of templates. Deliver Windows desktops to non-Windows devices, such as Android or iOS tablets. Manage all your data and access centrally using policy controls and advanced filtering. Reduce your total cost of ownership (TCO) by integrating all the computing needs on the server-side, avoiding the constant upgrade/maintenance of work terminals. Some drawbacks of the HVD model are concerns with visibility and control, as well as difficulty prioritizing DaaS traffic across the public Internet to guarantee performance. You can address these issues by using Parallels® Remote Application Server (RAS) in conjunction with the HALB appliance offered without any extra costs, under the same license. Deploying your HVD infrastructure with Parallels RAS allows for hosted virtual desktops to be delivered on any mobile device that supports HTML or RDP connections, including Android, iOS, macOS®, Google Chromebook, and more. Download your 30-day evaluation period of Parallels RAS and configure your own hosted virtual desktops today!